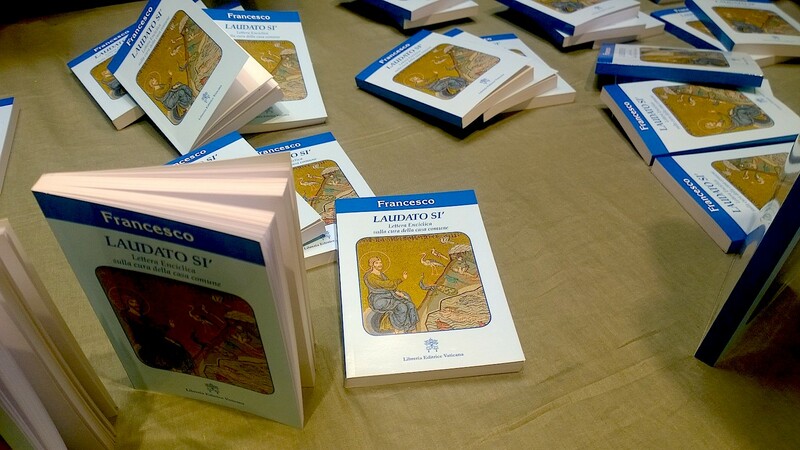 Experts from around the world gathered in Rome last week to take on a dialogue about Pope Francis’ encyclical on the environment, Laudato Si’, and particularly whether free markets can help in caring for Creation. The conference was sponsored by the Acton Institute on the theme: “In Dialogue With Laudato Si’: Can Free Markets Help Us Care For Our Common Home?” and took place at the Pontifical University of the Holy Cross. The conference aimed to promote the encyclical’s call for open and honest discussion of these and related areas, while taking into account the principles of Catholic social teaching, Christian anthropology and stewardship, and the insights of natural and social sciences. Its first session examined the theological and philosophical foundations of Laudato Si,’ while the second explored specific economic, social and environmental issues from various perspectives, such as finance, agriculture and natural resource management. Speakers included Bishop Marcelo Sánchez Sorondo, Chancellor, Pontifical Academy of Social Sciences & Pontifical Academy of Sciences; Rev. Robert Sirico, President of the Acton Institute; Dr. Philip Booth, Professor of Finance, Public Policy and Ethics, St. Mary’s University, Twickenham; Editorial and Programme Director, Institute of Economic Affairs; Prof. Massimo Introvigne, Professor of Sociology of Religions, Pontifical Salesian University, Turin; Mr. Riccardo Cascioli, Director of the La Nuova Bussola Quotidiana, President of the European Study Center on Population, Environment and Development; Mr. Giordano Masini, Editor In Chief, Strade and Agricultural Entrepreneur. ZENIT was able to speak to Father Sirico, the institute’s founder, Professor Introvigne, and Archbishop Sorondo about why this gathering was important, why dialogue is needed, and what fruits they hope it will bear. “Where we may be able to bring some factors to play and to also recognize that the Church’s teaching is not political, it is not economic. It’s moral,” he said. Along similar lines, Professor Massimo Introvigne told ZENIT, “I think the conversation is very useful,” and that, “I hope we bring this conversation to a higher ground,” which reflects on important issues, like the scarce resource of time, which he noted, the media is not paying enough attention to. Archbishop Sorondo also stressed to ZENIT that this dialogue helps bring people together, even if they do not see completely eye to eye on everything, with the common aim of helping those suffering. He compared it with the work the Vatican is doing to combat human trafficking, an issue that has been tackled by the Vatican working with experts, religious leaders, and politicians.